Growing cannabis at home is more popular than it’s ever been! It’s partially due to cannabis’ growing acceptance throughout the world, but it’s also partly due to the availability of specialized growing equipment. There are many helpful tools that can make it a lot easier to grow top-quality bud at home. However, some “tools” that are supposed to help you grow marijuana end up costing so much time, work and money that you may have been better off without them. Some poorly designed tools could even set you up for failure! Today, I want to share a few tips on protecting that money in your pocket by avoiding some common pitfalls. These tips will help you grow potent bud that tastes better, smells better and costs less than bud you could buy from a dispensary or otherwise. For those who aren’t familiar with grow boxes, a ‘grow box’ is essentially a rigid grow tent (usually a file cabinet or something similar) with lights, ventilation and other stuff included. It’s meant so that growers can make one purchase and start growing immediately provided they already have seeds/clones. These aren’t as popular as they used to be, but we still get emails from growers seeking help on how to use their grow boxes. Grow boxes aren’t inherently a bad idea; we’ve seen plenty of growers DIY their own awesome grow boxes. As you can see from those links, you can make a pretty darn cool grow box! However, many grow boxes – specifically ones made to sell to first-time growers – are designed to attract beginners, but not necessarily to help them grow and harvest plants. These grow boxes are usually sold to new growers at high prices while also giving them unrealistic expectations. These are just a few attributes that fail to justify the high cost. Even growers that want a quick solution could do the same thing at a fraction of the cost in less time than it takes to have the grow box shipped to you. If you’re considering getting a grow box, try spending a few minutes pricing the parts separately. Not only will you get a better deal, but you’ll also likely end up with something of much higher quality. Also, feel free to check out a few different proven growing setups so you know what to look for, and have something to compare prices to! Breakdown of Cannabis Setups – View examples of first-time grower shopping lists that won’t break the bank! One of the biggest complaints about growing cannabis indoors is that grow lights get too hot, or it’s too expensive to maintain the perfect environment in the grow space. 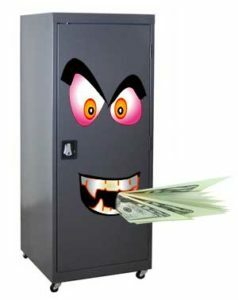 Growers can end up spending lots of money in electricity controlling the temperature and humidity: fans, AC systems, humidifiers, dehumidifiers, etc. Sometimes small tweaks to your setup can make such a huge difference that these extra tools become unnecessary, or at least can be used less. 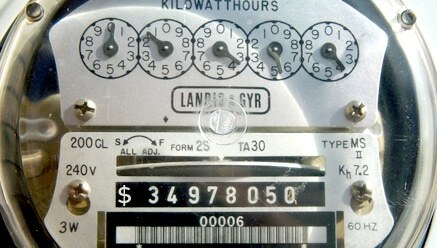 Any reduction in electricity use (while maintaining the same level of quality) means more money saved! Keep grow lights the right distance away – too far and you’re wasting light, too close and you’re hurting the plant with too much light or heat. In both cases, that’s wasted electricity and money. Use efficient grow lights so you get as much light and as little heat as possible. Less efficient lights like CFLs and T5s are stealthy but put out more heat for the amount of electricity than efficient lights like HPS and LEDs. Set up an exhaust system so the heat gets vented out. This can be as simple as a strong fan pointing outward, directing heat away from the grow space. Sometimes even just using a window fan to blow warm air out of the room can make a difference! A cheaper setup like this can keep you from having to run a power-hungry AC. If the temperature is getting too high when lights are on, change the light schedule so the lights are on at the coolest part of the day, and your “dark period” happens during the hottest part of the day. Swamp cooler / Evaporative cooler – if you have relatively low humidity, this type of cooling system will use far less electricity to cool than a typical AC. If your grow space is getting too cold, instead of getting a heater, consider getting a bigger grow light or insulate your grow area to keep the heat from escaping. In any case, always make sure to keep your plants off the cold ground! If you’ve ever gone into a hydroponic store you’ll know there are an insane amount of nutrient systems available. Luckily, many of the nutrient lines being sold will do just fine. And if you only use a company’s “base” nutrient line, the prices often aren’t vastly different from each other. Despite what many growers believe, a “base nutrient line” (offered most companies) provides everything your cannabis plant needs to get from seed to harvest successfully. You actually don’t need any special supplements and you will still harvest amazing bud! Your grow environment, strain and dry/cure have a lot more impact on your final quality than the specific brand of nutrients you use. Tip: Just about every cannabis-friendly nutrient line recommends you start with higher levels of nutrients than your cannabis plants can use. They want to sell those bottles! You can use far less nutrients (and help your plants avoid nutrient burn) by always starting your nutrients at half-strength and adjusting from there. In addition to buying way more bottles of nutrients than needed, sometimes you have to throw out your nutrients before you get a chance to use the whole bottle. That’s more wasted money! Some nutrients “go bad” in just months after being opened (especially nutrients with lots of organic ingredients like guano or fish), and may become smelly from unwanted chemical reactions. Unfortunately, these reactions can also prevent your plants from getting the right levels of nutrients. If your nutrients don’t smell the same after being opened for a while, don’t use them! However, the most cost-effective nutrients usually come in large 32oz bottles. If you get nutrients in this size, it’s best to make sure they last a long time after being opened so you are able to finish the bottle before it goes bad. Fox Farm base nutrients work great, and even though the entire line is made up of mostly organic ingredients, they’re formulated in such a way that each bottle will last as long as two years when stored in a cool, dark place. 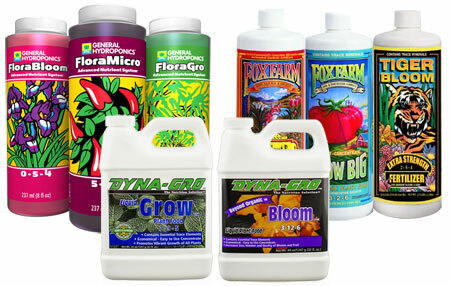 Base nutrient lines without any organic nutrients (like the General Hydroponics Flora Trio, a personal favorite) can last 5+ years after being opened when stored properly. So if you want to use the cost-effective big bottles of nutrients, go for ones that last at least 2 years after being opened. This gives you plenty of time to go through the typical 32oz bottle! Note: I’ve found the best way to discover this information is to contact the nutrient company directly (usually they have a “Contact Us” form on their website, like this one for Fox Farm), and they will usually get back to you in just a day or two! This is a great way to get other kinds of information about nutrients (and supplements), too! Plus, when you contact a nutrient company privately with direct questions, the answers are often a lot more frank about growing cannabis than the type of vague wording you’ll see on their bottles or website. Supplements – Keep It Simple! a hobbyist grower to measure. On the other hand, some supplements can be the thing that saves your garden from impending doom! If you’re going to use a supplement, make sure that you know what it does and that it’s actually solving a problem you have. There’s nothing wrong with trying out new stuff or being on the cutting edge of growing technology, but if money is tight, then you want to make sure you’re only investing in something with tangible benefits. When I talk about supplements with “tangible benefits”, I mean that they do a specific job where the benefits seem obvious to the user. For example, it might be tough to tell if a supplement that claims to “make bigger buds” is working because you don’t have a basis for comparison. This means you pretty much have to assume it’s doing its job. 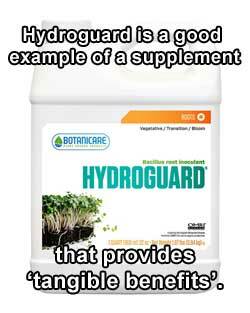 However, if you’re using a supplement that claims to fight off root rot (like Hydroguard), or claims to prevent calcium/magnesium deficiencies (like CALiMAGic), you’ll know whether or not it’s doing what you paid for purely by the results. Learn which nutrients and supplements actually do improve bud quality! When used properly, CO2 (in large enough quantities) can make for dramatic increases in yields. The problem is that there are a bunch of limiting factors in the way before you actually see any benefits from using CO2. You need a sealed grow space, high temperatures, and lots of light before adding CO2 makes a noticeable difference. Basically, if you aren’t perfecting most other aspects of your grow (training, lights, temps, humidity, etc. ), adding extra CO2 may not do you any good. 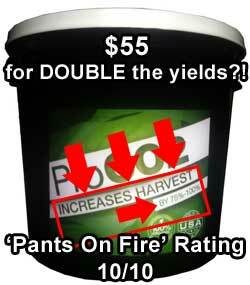 Yes, this bucket claims to increase yields by 75%-100%! Unfortunately, it’s not even close to being true. That being said, you can improve a grow by adding CO2. It’s the CO2 bags/buckets that are unproven when it comes to getting tangible results. I think of CO2 bags like weight loss pills: The idea is appealing and the price usually seems great for such a huge reward. Who isn’t pulled in by the promise of maximum gains from minimal effort? We all love things that make our lives easier while also requiring little-to-no work on our part! Plus we all know plants like CO2, so it could only be helping right? Well, it might be helping! It just probably isn’t helping enough to pay for its $30 – $70 cost. The problem is that these bags generally don’t make enough CO2 to make a difference. To make things worse, most home setups don’t have bright enough light to get significant yield improvements from CO2 anyway. The vast majority of growers will get better returns as far as yields from plant training or upgrading their grow lights. You could also save that CO2 money for the next batch of seeds and pick a proven high-yielding strain. Again, it’s not that CO2 bags are bad; they just don’t provide obvious tangible benefits compared to other things that do produce measurable results. Want to learn to use CO2 the right way? Click here to check out our page on the topic! Plant training costs close to nothing – maybe a couple of dollars for some twist-tie – and can dramatically increase yields. It’s a fantastic way to get more bang for your buck when growing, though it’s important to start when your plant is still small. 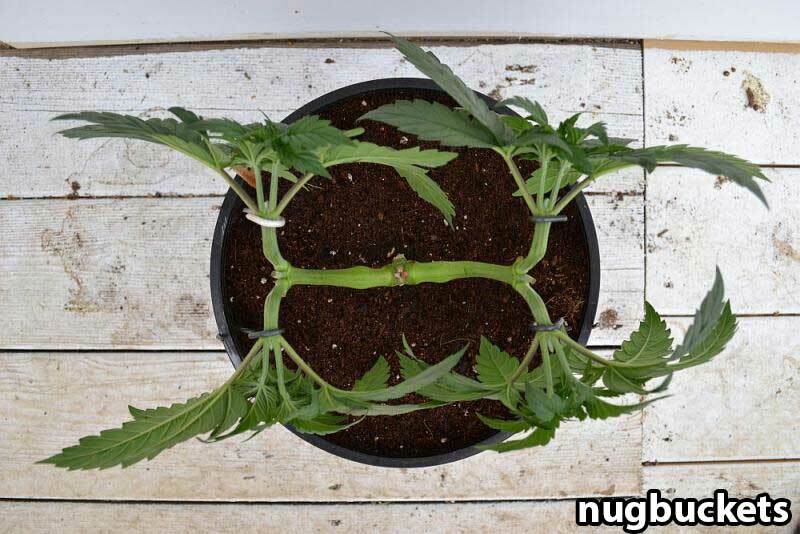 But if you’re willing to invest a little time to train your plants during the vegetative stage, you will see returns in the form of undeniably larger yields. In fact, training is probably the best way to increase yields without having to alter your setup or buy new equipment. Some advanced training methods – such as ScrOG and Manifolding – are capable of producing 40% or more bud than plants grown in the same environment in the natural ‘Christmas tree’ shape. That tree shape (called ‘apical dominance’) is great outdoors under the sun, but performs poorly indoors under grow lights which don’t have the same level of penetration. All that extra bud converts into money saved! How? 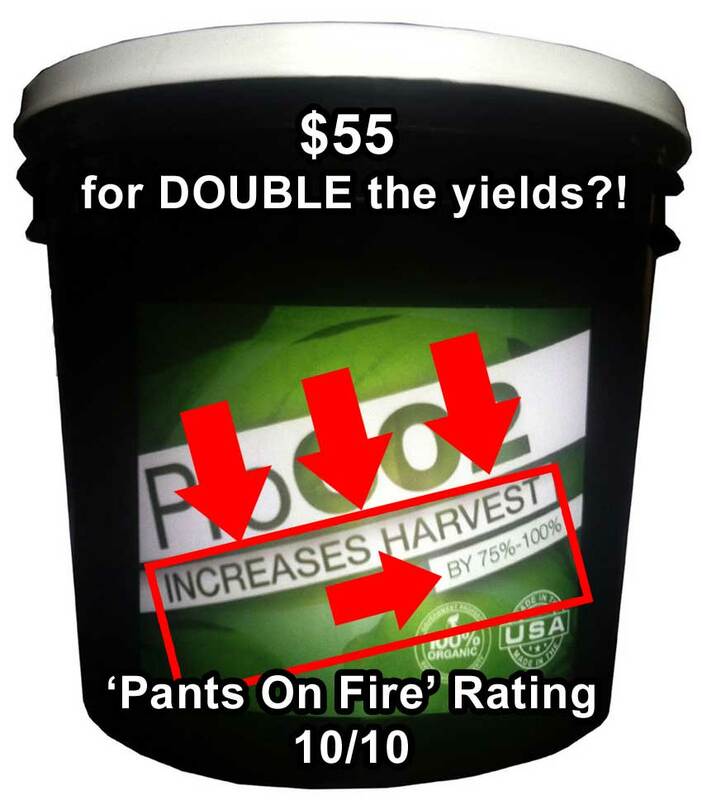 Because you don’t have to grow as often when you get bigger yields! 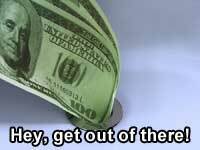 Every day you don’t have to grow is another day you aren’t paying for electricity/nutrients/water/etc. and you’re getting back the time you would have spent. In short, you grow more buds with the same amount of supplies and then get a break from the cost of growing. It doesn’t get much better than that! 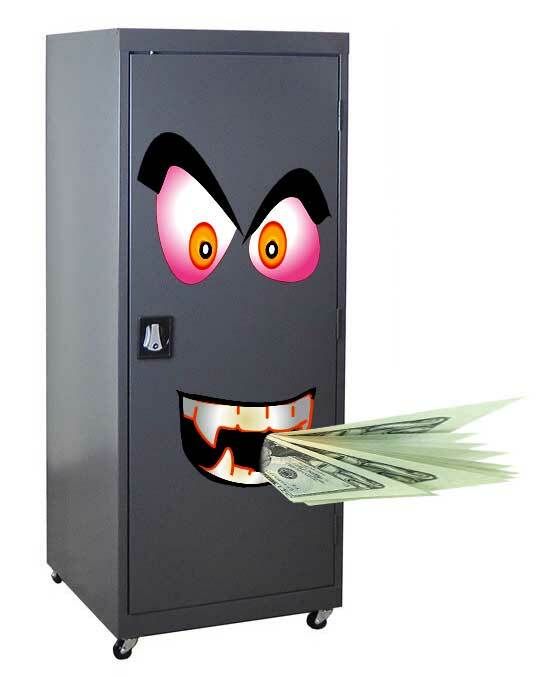 Do you have some good methods to save money without sacrificing quality in a grow? Let us know!